"Dr. Urban makes sure that every part of your visit is the best it can be." "Dr. Michael Urban is thorough, careful, and kind." "Extremely professional, excellent work, couldn't have been more pleased with the results"
"The entire staff is super friendly and professional. Best treatment you'll get..."
"Dr. Michael Urban helped me save my teeth and smile. I feel confident now." "He took the time to listen to my concerns and explain the treatment plan that I needed." "I LOVE the staff here. They are attentive and explain everything as they go." Michael J. Urban, DDS, provides top-notch dental care to patients from all over Montgomery County and surrounding communities from his practice in Gaithersburg, Maryland. Don’t take his word for it — Dr. Urban has been recognized by Washingtonian and Consumers’ Checkbook as one of the region’s top working dentists. At his welcoming office, Dr. Urban and his friendly staff cater to a diverse clientele and treat patients of all ages, including kids. He can treat the entire family under one roof, a feat that makes getting everyone in the household the dental care they need extremely convenient. In 1990, Dr. Urban graduated from the Georgetown University School of Dentistry in Washington, DC. Since then, he’s been practicing professionally, helping patients restore and enhance their smiles — one personalized treatment plan at a time. At LifeTime Smile, he spends quality time with each patient, always listening and focusing on individual needs and preferences. That passion and dedication has endeared him to countless patients over the years and has allowed Dr. Urban to form many close personal relationships. A highly skilled dentist, Dr. Urban specializes in a variety of general and cosmetic dentistry procedures that restore and enhance smiles. That includes dental implants, Invisalign®, effective teeth whitening, and so much more. The practice also boasts technology that adds to the patient experience and level of care, such as digital X-rays, telescopic loupes, and automated appointment reminders. 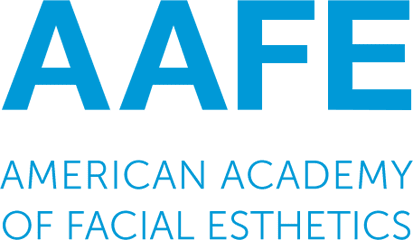 Dr. Urban is also an esteemed member of the American Academy of Facial Aesthetics and is board-certified by the American Board of Dental Examiners (ADEX). Visit Dr. Urban for a routine checkup, cleaning, or consultation today. Remember — choosing him as your dentist will give you a reason to smile. Come see Dr. Urban for botox and fillers. Get $75 off Juvederm lip or cheek fillers your first time. Awarded Gaithersburg’s Top Dentists by Washingtonian in 2015, 2017, & 2019. Dr. Urban is a member of the American Academy of Facial Esthetics.